Ask almost any elementary school kid what his or her favorite class is and a likely answer will be “gym.” But today’s physical education teachers will tell you their jobs are about a lot more than fun and games. That is what Cassidy Bruner ’19 has learned as she has pursued a health and physical education (HPE) major. Bruner’s academic efforts have paid off, earning her an award as a Society of Health and Physical Educators (SHAPE) Major of the Year. 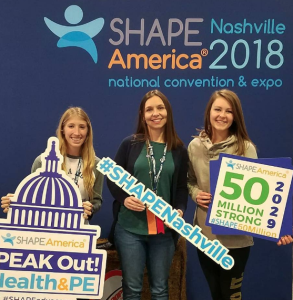 Bruner received her award at the SHAPE America National Convention in Nashville, Tennessee in spring 2018. 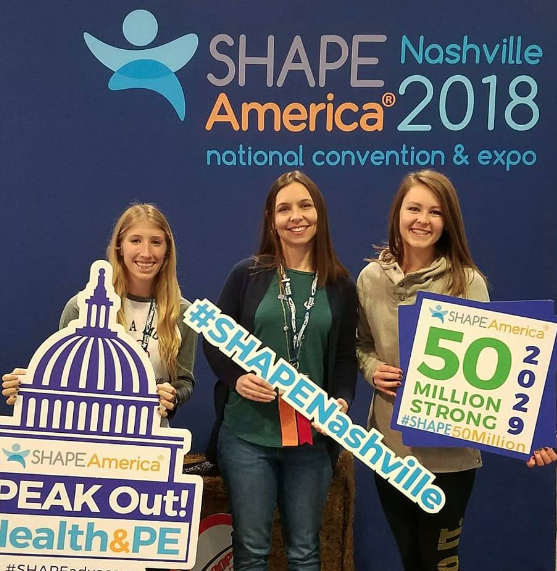 The SHAPE America Major of the Year award celebrates outstanding undergraduate students in the fields of health, physical education, recreation and dance. Roberta Sipe, the University’s HPE program coordinator, nominated Bruner for the honor. “Cassidy is a strong young woman who never shies away from an opportunity to instruct students,” Sipe said. In fact, a full year before she was scheduled to begin her student teaching, Bruner was hired to work two days each week as the physical education teacher for Southport Presbyterian Church’s Welcome Place Childcare Center. She had been working at the center as a caregiver. Now, in addition to her childcare duties, Bruner spends nearly 15 hours each week as the school’s physical education teacher. In that role, Bruner is responsible for creating and implementing PE curriculum while teaching best practices. In addition to her work at Welcome Place, Bruner is a member of the University’s Kinesiology Club, is active in the Indiana chapter of SHAPE, and has volunteered for the annual Indiana State Special Olympics basketball tournament, which takes place at UIndy each spring. She maintains a 3.7 grade point average. Bruner wasn’t even rattled by concerns about pursuing a career in physical education. Bruner believes it’s important for children to have dedicated health and PE teachers because kids spend too much time on sedentary activities. Bruner said a dedicated PE teacher can show them how to learn to enjoy being active, which can lead children to live a less sedentary and healthier lifestyle. 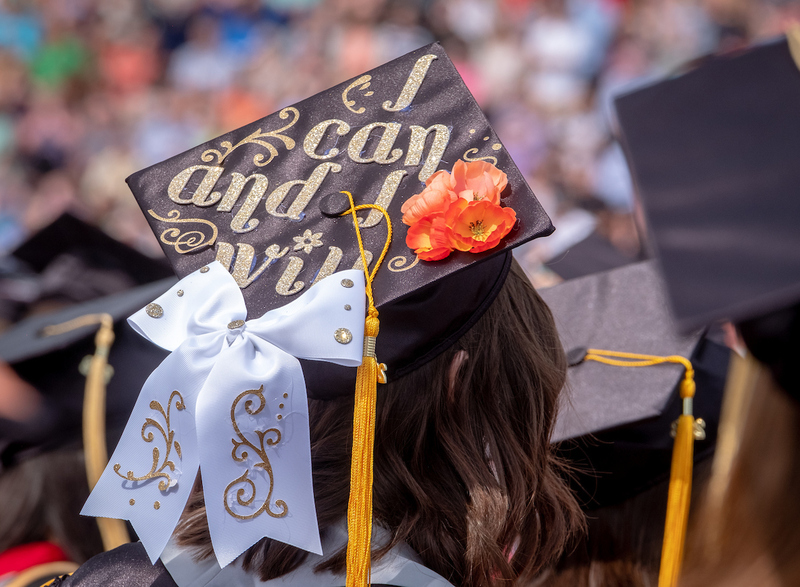 Bruner plans to graduate from the University of Indianapolis in May 2019. Learn more about the Health and Physical Education Program at the University of Indianapolis.